These are the words that make buyers cringe and sellers jump for joy. And it’s common in Nashville in the popular price ranges. So common in fact that it’s been more than two years since one of my listings has sold with only one offer. 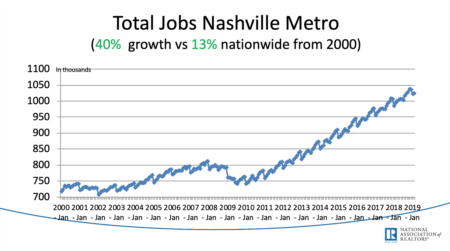 Whether you are buying or selling in Nashville, you need to prepare yourself for this eventuality. And the biggest part of it is not letting the situation dictate your emotions because it’s hard to negotiate when you are caught up in your feelings. That’s when you are most likely to make an impulse decision that you’ll later regret. The easiest way for me to stay out of my feels when I am negotiating is to consider all of the possible scenarios ahead of time and make my decisions before I put myself in the heat of battle. It’s much the same way you might prepare yourself to attend an auction. You pick your targets ahead of time. Validate what they are worth in the market. 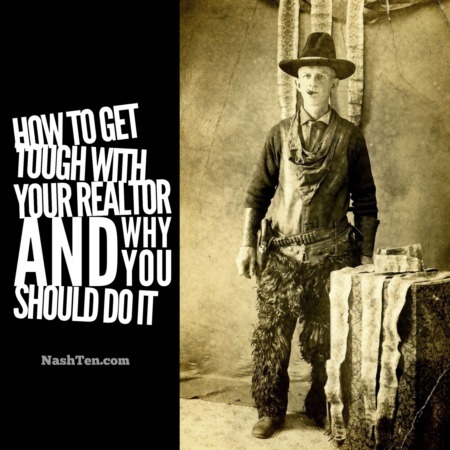 Determine an attractive initial offer. Set your maximum offer in stone. And don’t deviate from your plan. Those last two items is when many people fall off the wagon. So, here’s how I set my maximum offer. Let’s say that I’d prefer to pay $100,000 for a home, but I am willing to pay a little more to win. Then I consider this: one month from now will I be happier with my $10,000 in cash or with the home if I have to pay $110,000. If the answer is the latter, then I keep asking my self that question until I reach my limit. That limit becomes my maximum offer. I know it sounds simple. And based in common sense. But, you are in a different mindset while negotiating. Every emotion is amplified which threatens your ability to see things clearly and make logical decisions. 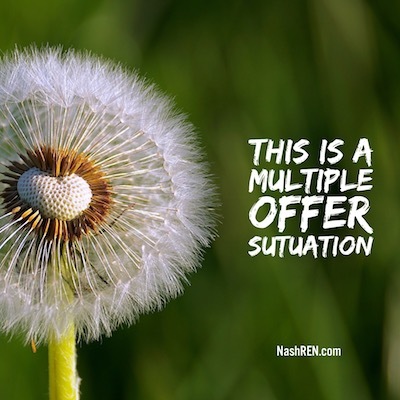 I’d love to hear your thoughts on multiple offers, hit reply and let me know how you feel. The Daily Deal in Nashville is the beautiful and updated Tudor style home in Inglewood [East Nashville] that is listed for less than $440,000.